Children’s Parliament projects and consultations run throughout the year. We work across sectors and with a variety of agencies to ensure children’s voices are included in their practice. All of our work seeks to engage children in a creative exploration of topics that impact upon their lives. 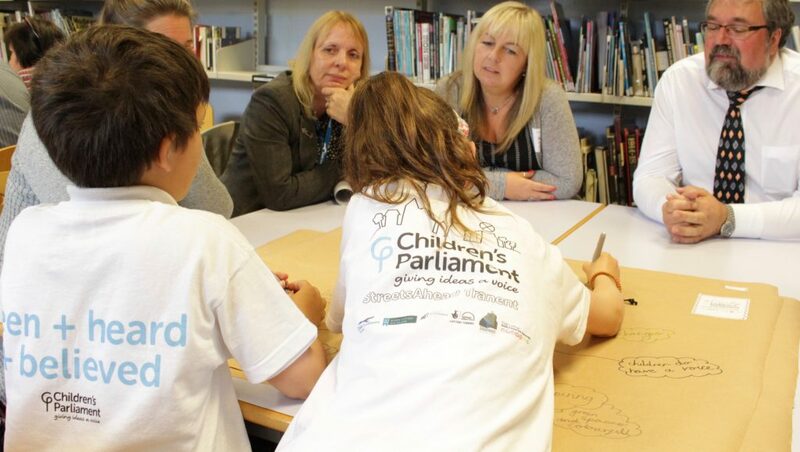 Contact us to find out how Children’s Parliament can work with you. – StreetsAhead Tranent Stakeholders event: children lead the discussions.